Apple, today's most valued company with current value at approximately $572 per share and hovering at $600 billion USD, unshrouds its Macbook Air and Macbook Pro updates today in San Francisco, California. After a humorous introduction by Siri and marketing presentation, the Macbook Air took the spotlight. The ultrabook is updated to Intel's ULV dual-core i5 and i7 Ivy Bridge processors. USB 3.0 support is now available for all USB slots, upgraded from USB 2.0 support. The slots are also colored in white, compared to the blue-colored slots found on Windows computers to highlight USB 3.0 support. Magsafe 2 provides improved connectivity, thinner profile, and power source from its predecessor, Magsafe. For previous Macbook owners, take note that the previous Magsafe adapter is incompatible with current Macbooks' Magsafe 2 slots, and vice versa. Fast SSD storage will keep local data from 64GB to 256 GB variants. The display resolutions remain in 1366x768 for the 11-inch model, and 1440x900 for the 13-inch model. The Air is as thin and light as ever at 0.68 inch and 2.96 lbs. Apple's Macbook Pro contained more upgrades than its lighter cousin, and understandably so when its price eclipses the Air by two-fold for each respective base model. 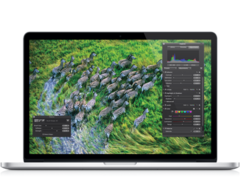 The Macbook Pro also received similar upgrades with Macbook Air - USB 3.0, Magsafe 2, and Intel Ivy Bridge, in addition to its own. The newest Macbook Pro 15-inch model contains a Retina display in 2880x1800 resolution, currently the highest found on any retail notebook. The Pro also received improved fan noise isolation with asymmetrical exhaust fans. Asymmetrical fan design helps in a lower noise perception compared to symmetrical fans. A surprise for Apple's standards, the California-based company finally added one HDMI slot on the Pro, which previously never existed on its notebooks. An astonishing SSD storage of up to 768 GB can be configured inside. The Pro has changed its graphics processor to NVIDIA's Kepler GT650M, which previously packed AMD's Radeon graphics processor. As for the most noticeable change, the new Macbook Pro is almost as thin as the Macbook Air at 0.71 inch, and weighs only 4.46 lbs. You can watch Apple's full keynote conference from San Francisco, California here. The keynote also covers updates, and new features for iOS 6 and Safari available later this year. Mountain Lion will be available next month for free with a new qualifying Mac purchase, or $19.99 USD for an upgrade. The new Macbook Air and Pro are now available at the Apple Store. The Macbook Air costs from $999 to $2079 USD based on configuration. 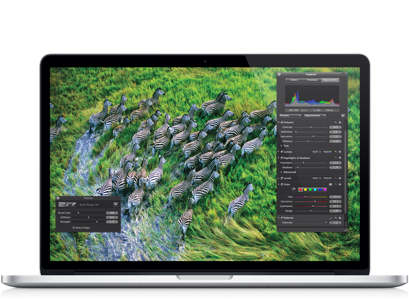 Macbook Pro with Retina display ranges from $1999 to $3454 USD. Qualifying .edu e-mail addresses can receive discounts from $50 to $200 based on model.